Then again, she was turning 18 soon, so things were bound to change. But her parents plan to announce her engagement on the very same day!!! 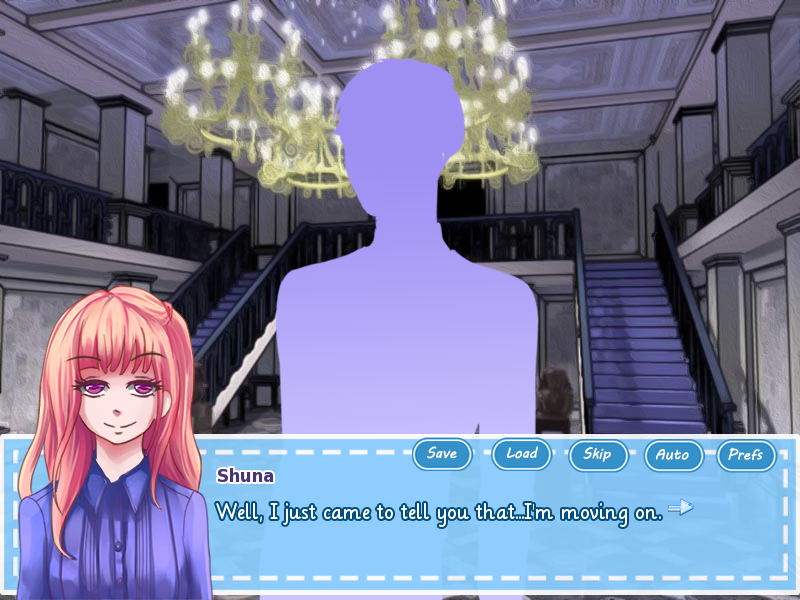 Play as Shuna, as she decides to actively pursue this fake older brother of hers. Will she steal his heart away? Or will she stay the 'little sister' character and concede to fate? Hi there! So here's another NaNoRenO release. Shuna is a rich girl in love with her childhood best friend, Atsuya. They're as different as different can be. while Shuna is brash and noisy, Atsuya is a lot more soft-spoken and gentle. 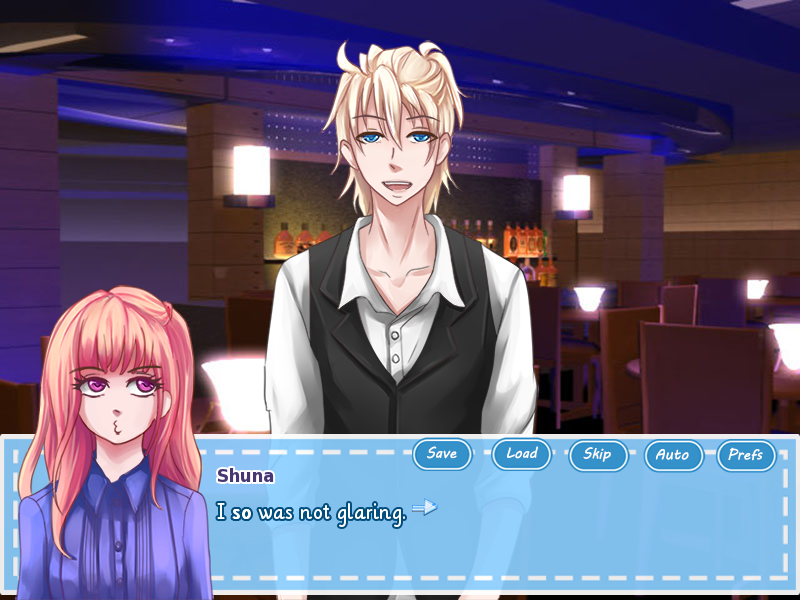 Also, as a "young mistress" of a mansion, Shuna is worlds away from Atsuya, who works as a bartender at a bar. Just imagine Shuna's surprise when she overhears her parents talking about how she's going to be engaged in 17 days... which is the day of her 18th birthday. Of course, she imagines that it must be to Atsuya... until she finds out that her future groom isn't going to be him. This new realization throws her into a panic. Sbe overhears Atsuya talking to a friend of his about how she's just a little sister to him. Ouch. The moment she gets home, she immediately surfs the net on how to know if somebody isn't interested in you. Oh, honestly Shuna dear, it's hard to know if someone is interested in you, but I think it's fairly easy to know if someone isn't, right? Trust that gut feel, girl! But anyway! 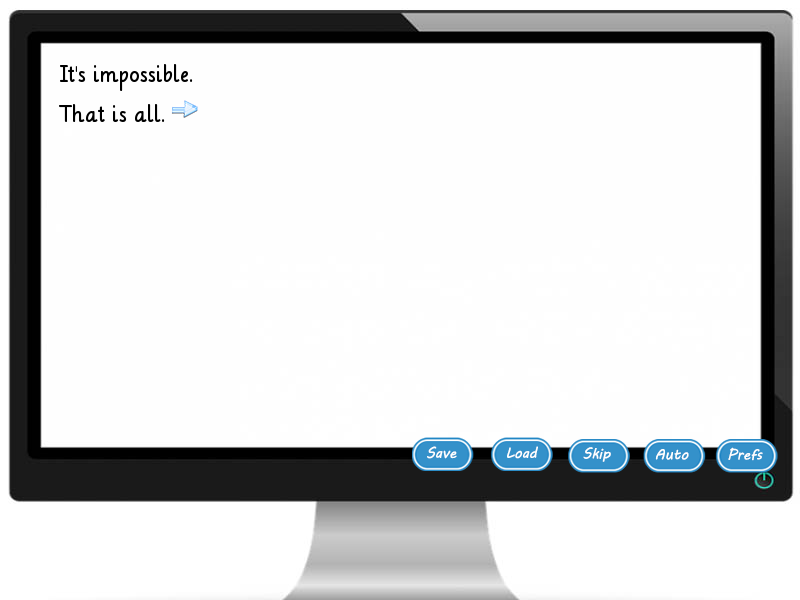 Unsatisfied with all the answers she's reading, she decides to post a question herself to get a definitive result. Shuna goes back to the bar, still confused but pretty determined. There, she sees Atsuya with a pretty lady. 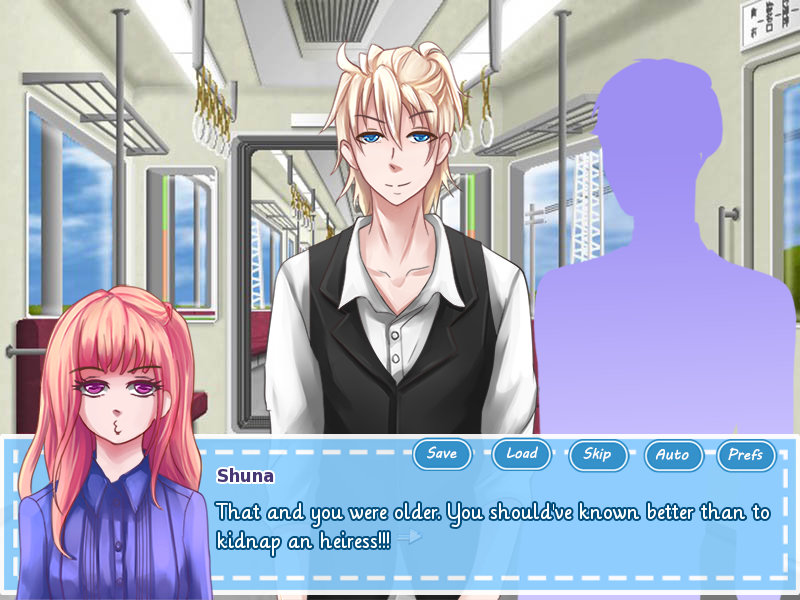 For the rest of the game, Shuna makes it her goal to win Atsuya over. 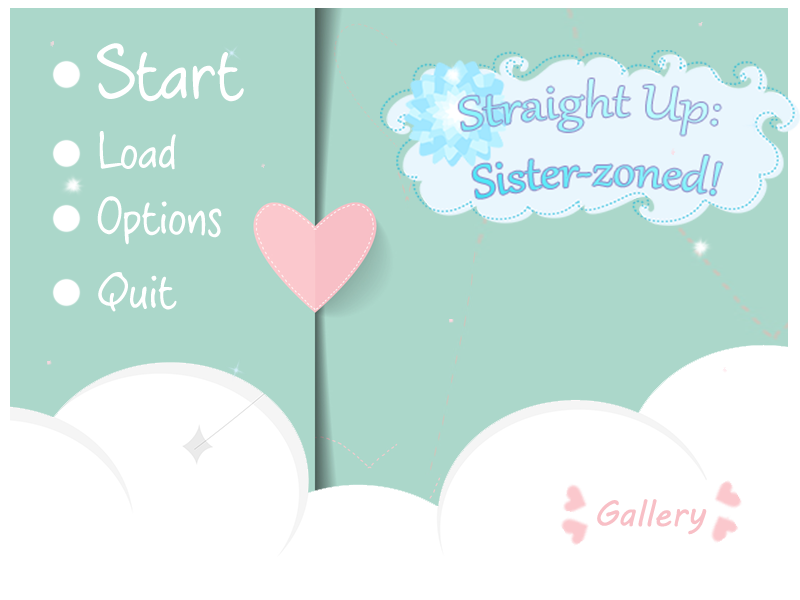 That's basically the whole point of the whole visual novel. 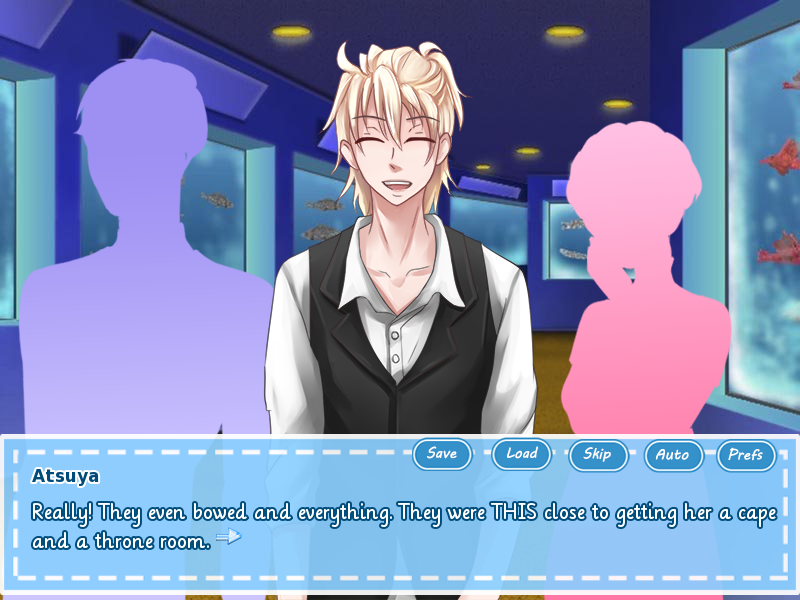 At one point, another guy - the soon-to-be-fiance - actually makes an appearance, but he doesn't even have a real sprite, so I pretty much ignored him. Until I started thinking, wait, this guy is actually pretty decent for Shuna. Except, oh, right, he has no sprite, so they most likely wouldn't end up together in the 'true end' anyway, if ever there is one. As someone who likes having her choices, I totally thought, "what a bummer." However, let me just tell you... you know that old adage, "don't judge a book by its cover"? Oh, that is definitely, definitely true. There are three or four endings to this game, and with the first one I got, I was pleasantly surprised. Yes, pleasantly. The completionist in me wants to get all of the endings, but with what I got on my first try, I'm already a satisfied kid. The writing is pretty nice. I saw some typos, but nothing too major to distract me from the actual story. Strangely, while I usually don't like seeing stuff like "!!!!?!" 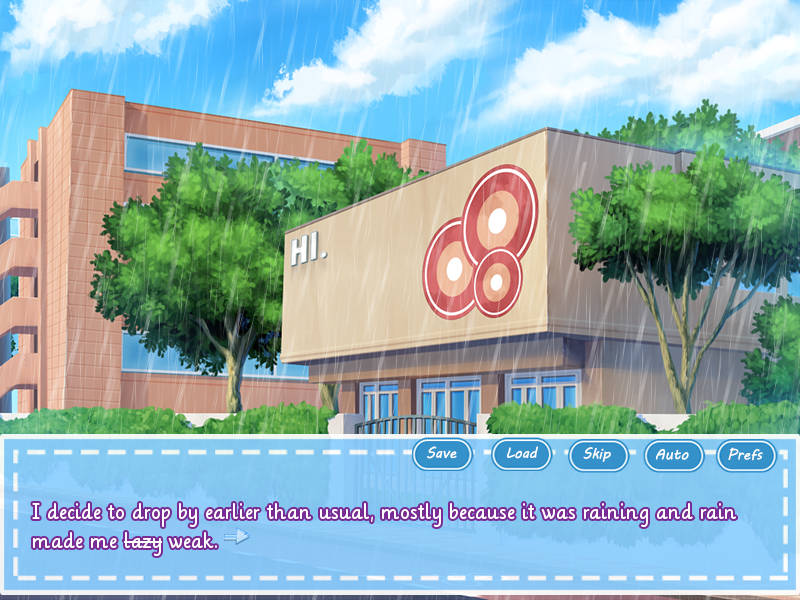 or other things I consider 'informal' writing in visual novels, I was completely okay with seeing them here. I wonder when I'll be able to say this? Other than those, actually, the dialogue here is better than some other visual novels I've read. The characters are both believable and lovable, and they all have endearing qualities to them. Backgrounds are from free resources. This causes them to be pretty mismatched, going from a Western-style living room to a Japanese style bedroom. One other obvious sign of the mismatch is the difference in the resolutions. Some backgrounds have managed to retain their sharpness, some are just alright, while some are just downright low-res. It's pretty surprising, to be honest, considering that the game has a really small resolution in the first place. I'm wondering why some of the backgrounds look so pixelated, despite that fact. As for the sprites, they were alright. Nothing too outstanding and they can definitely be better, but... oh well. Let me divide this section into two parts: the good and the bad. There are actually a lot of things I loved about this game's technical aspect. First of all, I love how the main menu screen has a sparkly effect. So much love for that. I really disliked the font, as well as the color. 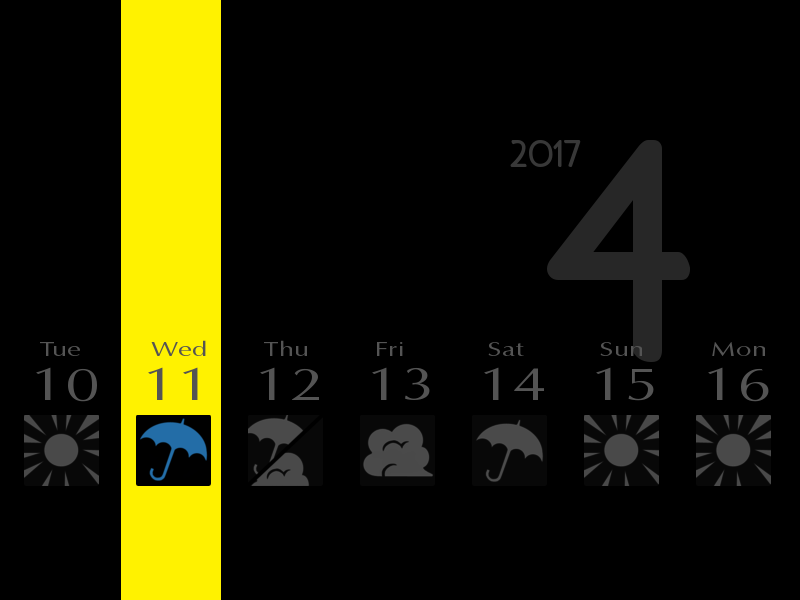 The inclusion of a calendar is something that surprised me though. It's a nice little feature; definitely a welcome addition to this otherwise lackluster game. There are some nice little additions to the game. When the lady shows up at the bar, a dialogue bubble popped up beside her head to indicate her emotions. Effects, effects, effects! Do you see those raindrops? They're actually moving in the game. Yes, I know it's something super minor, but I really appreciate those little things. There were some other errors, though. I'm not sure they're all errors though, or if some are just oversights or perhaps they were just because of the limitations brought about by the At one point, Shuna said it was already night-time, but the background still showed that it was morning. Also, Atsuya's sprite remained even though she was supposed to be alone. Music was also from free resources, I believe. Considering that, I don't think I've heard most of the tracks in here. There were some Kevin Macleon tracks though, so keep that in mind, for you guys out there who have read a lot of OELVNs in the past. 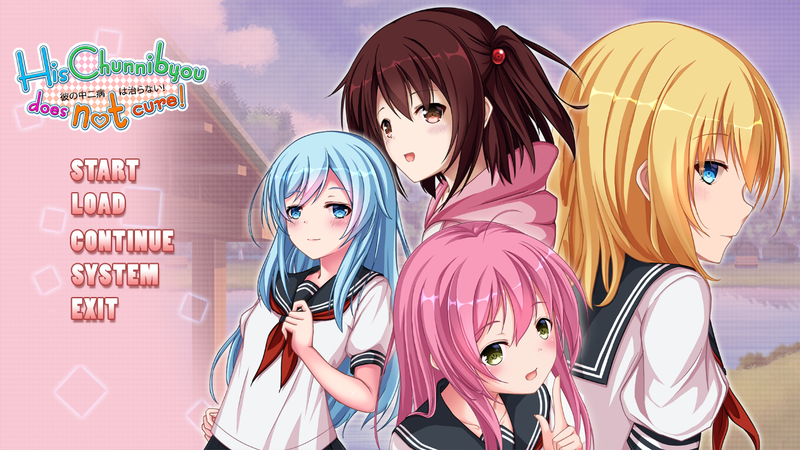 Despite the use of mismatched backgrounds and the low resolution, I didn't really have much of a problem with this visual novel. The story was pretty cheesy and it was also pretty direct to the point, but it's a fun little read. For a small project by a newbie developer, it should be completely fine. 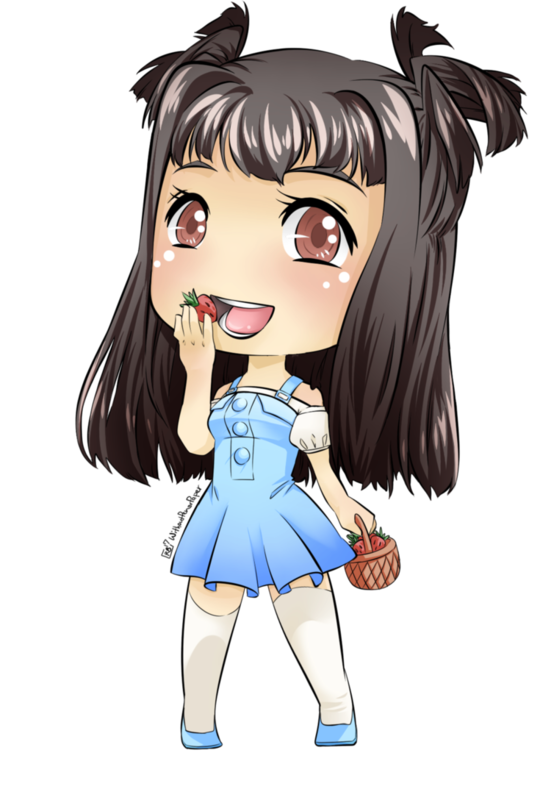 It's one of the smaller NaNoRenO releases, so I was actually torn about giving strawberries to this one. I mean, some of the other games obviously have bigger teams to create custom art, music, GUI with, and I'm not sure if they should be rated the same way that I rate the ones made by one-man-teams. But I digress. That's a topic that should be talked about some other time, I suppose. For now, since this is a complete release anyway, I'll still give it some strawberries, for the love. Five strawberries, mainly for the story, writing, and the nice little effects. The low resolution and the mismatched backgrounds take away the rest of the strawberries.